Kierstan Pickens is the Executive Director of the Santa Fe Farmers’ Market Institute, the nonprofit sister organization to the nationally recognized Santa Fe Farmers’ Market. Through a variety of community outreach and vendor support programs, the Institute advocates for farmers, ranchers and other land-based producers; provides equitable access to fresh, local food; owns and operates the year-round venue for the Santa Fe Farmers’ Market; and manages programs to help sustain a profitable, locally-based agricultural community. Kierstan comes to the Institute with more than 10 years’ experience in nonprofit management; from volunteer coordination, special event management, fundraising, management and board cultivation. Born and raised in the northern plains of Colorado, Kierstan learned early the value of localism. Her father owned a small business that served, among others, the area’s farmers. A great admirer of the work of the Market’s many produce vendors, she spends as much time outside in her garden as possible, trying hard to grow vegetables like the Market pros. 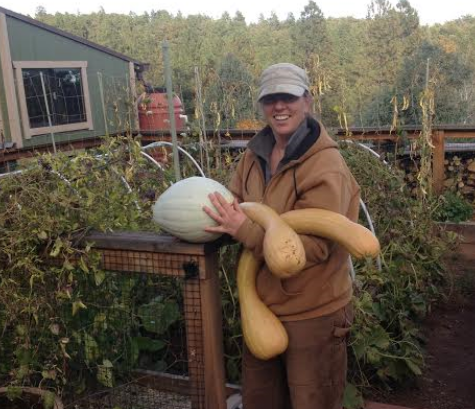 For the past ten years, she and her partner, Jason, have lived in Pecos, NM on two-and-a-half acres with raised garden beds and a small flock of chickens, where they have tackled several erosion control and permaculture projects.